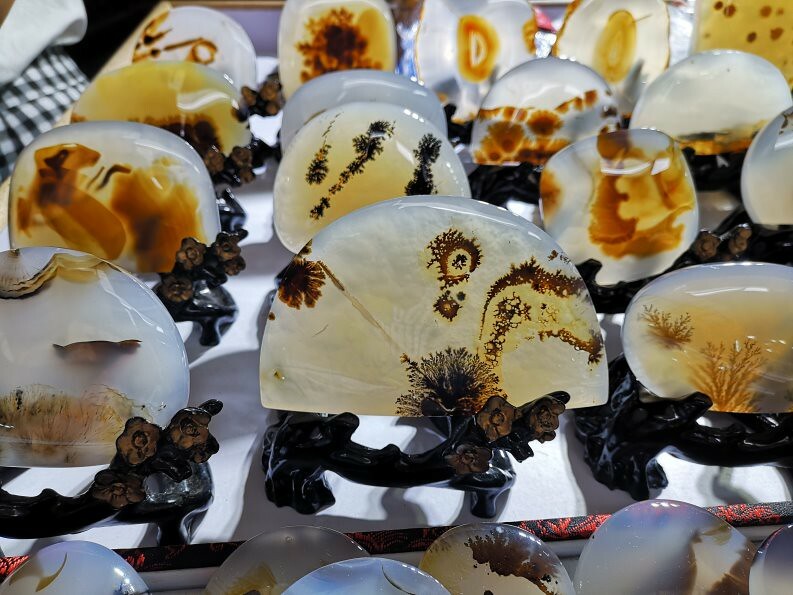 Other visible trends this year: Amber holds strong and has now displaced virtually all agate offerings to outdoor stalls. Agate offerings hold strong too, yet I feel that there is more "enhanced" material on offer. Madagascar material is still strongly represented, but offerings like the one below have diminished in quantity. The use of that kind of agate has now surpassed the quantity of jade carvings in this market..
Turquoise on the other hand is on the way out. There are hardly any shops offering now. So with nothing of interest (have to research Harlequin agate first before committing) on offer in the rough, I ended up with a few pieces of agate and I suspect a serpentine. 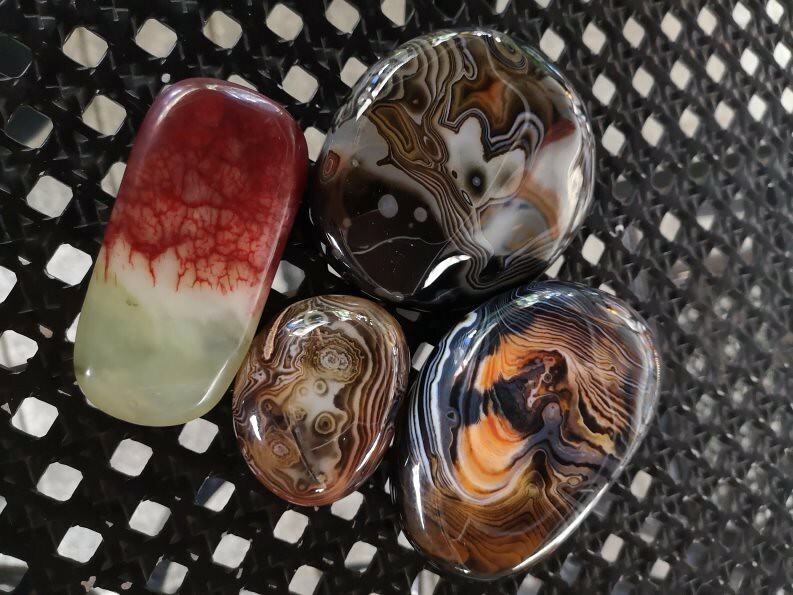 I think the pattern on the agate is shallow and colour has been achieved due to heating, so my plan is to cut into half sideways to preserve colour and pattern, and then carve the reverse in what I presume to be clear material. The presumed serpentine, is the winner this year. 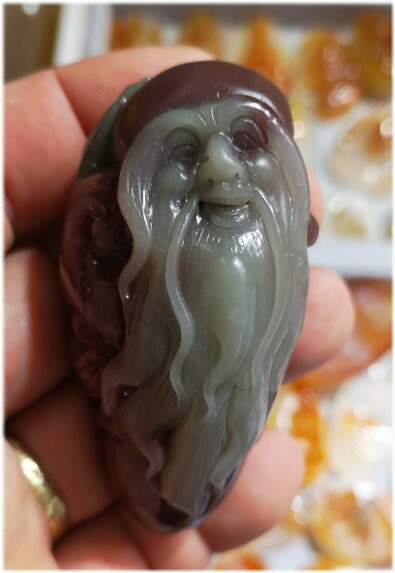 Have been after this material for a while, and price reversed from the nephrite I looked for. Was very expensive in the past, but found this piece at a steal. Don't know yet what to do with it (motive to carve), but something will come up to fit the pattern, i'm sure, in time. Always fun . Your wedding anniversary? 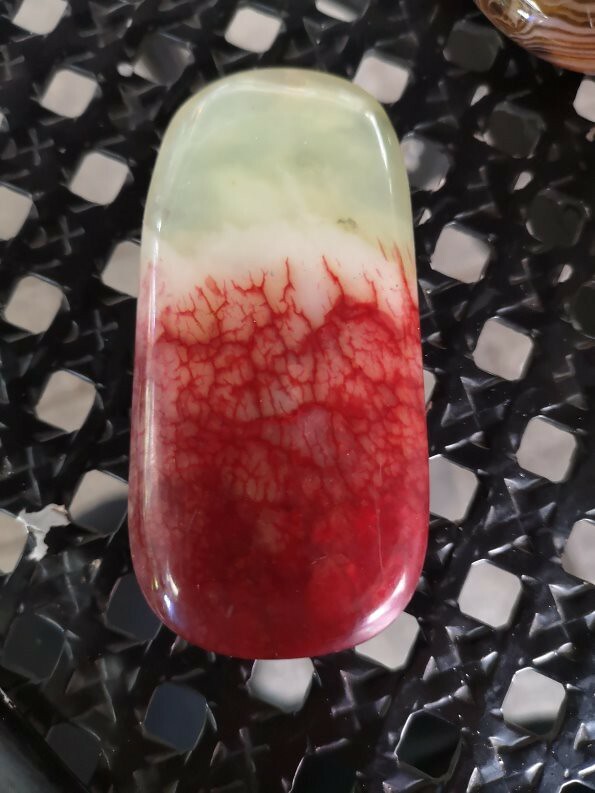 The agate with the shallow color looks like the material I bought a couple pieces of last year (supposedly out of Madagascar, I thought). 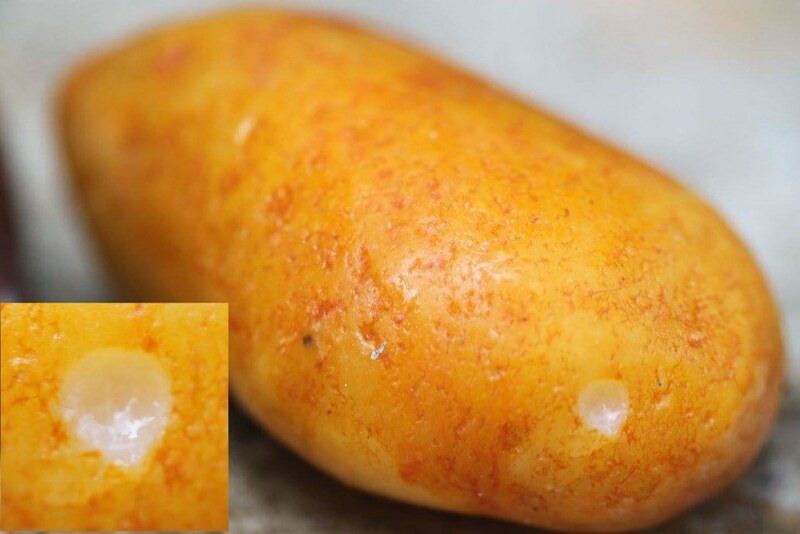 If you cut it in half, leaving the color on the back, are you just using it as a sculpture? I can’t see quite how you’d set it if you aren’t grinding a flat into that area? I actually hadn’t decided what to do with mine yet. Expect this to be the same. Cut into half side-way, and carve into the flat back to create double-sided pendant. Congratulations ! 45 wonderful years for the wife and myself , where did the years go ? I am heading to China in October. Any insight for rock shopping? I will be in several cities like Beijing, Shanghai, Suzhou, Wuxi, Hangzhou, and Chongqing. 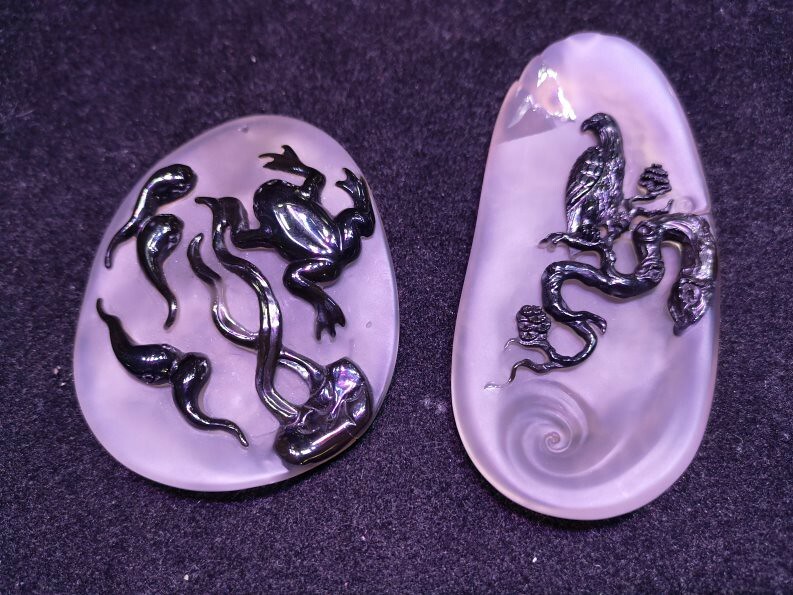 Would love to get a piece of Nephrite or Jadeite. Thanks for any insight. Cant help much in this regard, but while you will likely find markets for rocks in every one of those cities, the jackpot for you should be in Suzhou, Jiangsu. That's where pretty much the best carvers in the industry are situated, and hence rough should be of quality for just about any pocket. I only know the area from hearsay as I have never actually been there. But good knowledgeable friends have been there, and short of going to the source in Myanmar speak the praises for it. Thanks for the insight Kurt, very much appreciated.